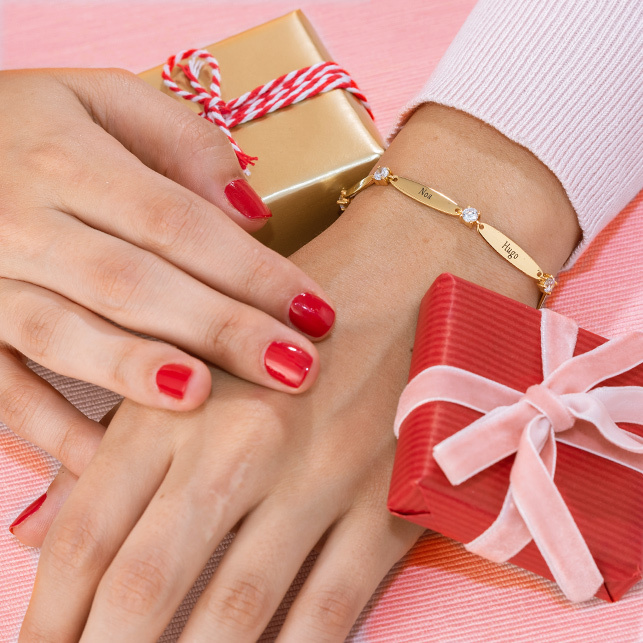 Crazy about heart jewellery? 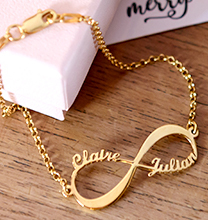 So are we – and we think you’ll fall in love with our Interlocking Hearts Necklace with 18ct Gold Plating! 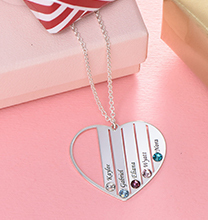 This beautiful necklace is one of a kind thanks to special touches that you provide. 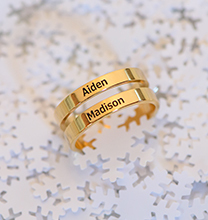 Simply choose one name or word for each of the interlocking hearts, and we’ll do the rest! Made from sterling silver and 18ct gold plating, the finished necklace hangs from a matching rolo chain. The look is timeless and sweet – and it goes with almost everything! 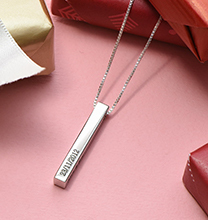 Be sure to see our collection for more options, including this personalised mothers necklace in your choice of sterling silver or 18ct rose gold.